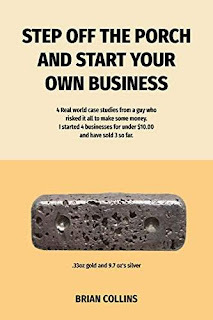 You can use my book to cover off 99% of the necessary steps for starting your own business, or you can just read about one guy who started 4 successful businesses for under $10.00 each, all in very different areas of the economy, coined 6 rules for success in his book, as well as covered 10 business topics all with real life action and drama.This is 4 real life case studies of how to begin a business from small private to large public companies, their funding, sales, domicile, and even law suits,and in several the unexpected occurs which in business you can not plan for . This book could be a grad case study for commerce students or a first year course on how to be an entrepreneur course based on real business companies. At the end you can contact me via book email if you need my point of view on your new venture.